Learn / Pioneers Gallery / Kimball, Edward A. Portrait by Edmund Giesbert. Gift of Edna Kimball Wait Association. EDWARD A. KIMBALL was a successful manufacturer in Chicago when Christian Science healed him of a persistent physical disability. 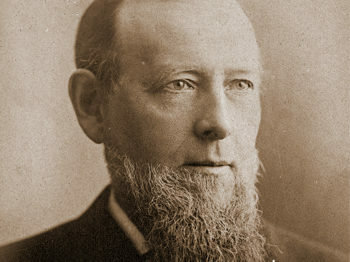 In 1888 and 1889, he had classes with Mrs. Eddy at the Massachusetts Metaphysical College, and in 1890 he retired from business to give his full efforts to the Cause of Christian Science. 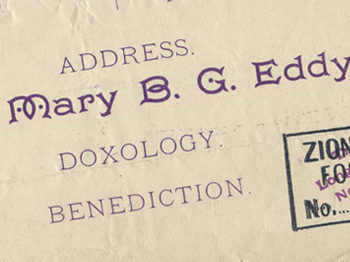 Mrs. Eddy asked him to take charge of the Christian Science presentation at the World’s Parliament of Religions, held at the Chicago World’s Fair in 1893. Edward was early affiliated with First Church of Christ, Scientist, Chicago, having been elected First Reader in 1895, and contributed greatly to the building of the church edifice, dedicated in 1897. 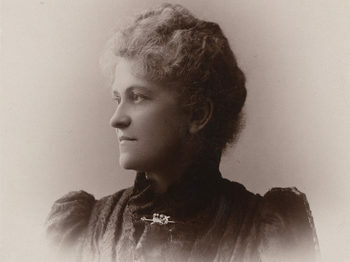 He was a member of Mrs. Eddy’s final class in 1898, following which he became a teacher in Chicago. Mr. Kimball was also appointed to the Christian Science Board of Lectureship that year, and over the next nine years delivered more than 1,000 lectures. 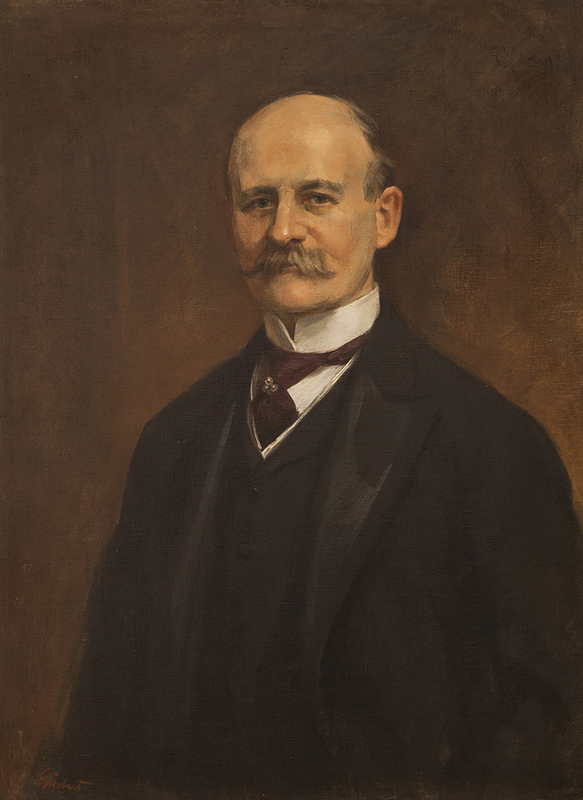 In 1899, he became one of the first teachers appointed to the Christian Science Board of Education. It was Edward Kimball who proposed, at the 1902 Annual Meeting, that $2,000,000 be raised to build an extension to The Mother Church.